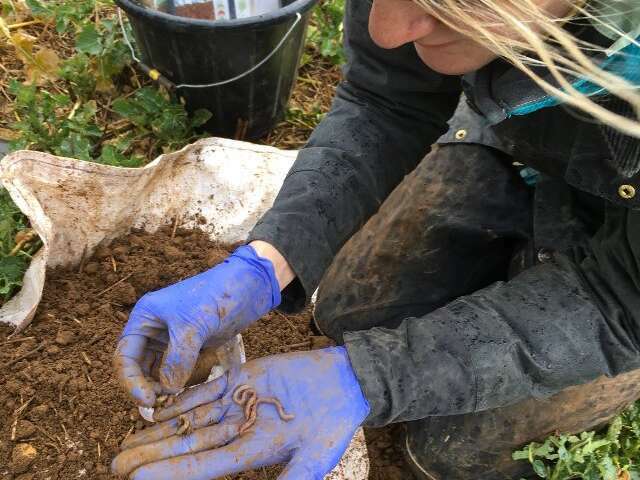 The scientist behind the survey, Dr. Jackie Stroud, a NERC Soil Security Fellow at Rothamsted Research, said: "Earthworms are sensitive and responsive to soil management which makes them an ideal soil health indicator. 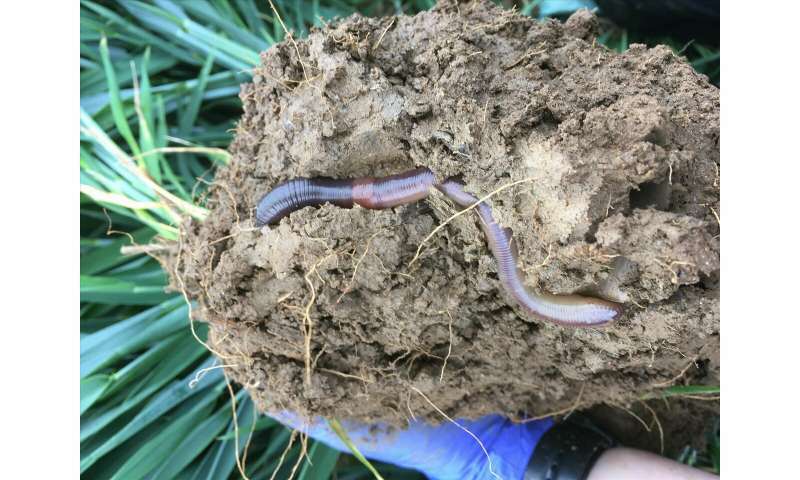 The aim of this research was to find a baseline of farmland earthworm populations that would be useful and used by farmers to assess soil health now and in the future." Earthworms perform a number of useful 'ecosystem services', and high numbers of earthworms have been linked to enhanced plant productivity. The absence of deep burrowing worms on 16 percent of fields is concerning, says Dr. Stroud, because they are 'drainage worms' with vertical burrows that aid water infiltration and ultimately helps combat waterlogging. "The deep burrowing worms have slow reproduction rates so recovery in their populations could take a decade under changed management practices. In fact, we know very little about earthworm recovery rates." "Working with farmers led to the redesign of the pilot survey, culminating in a shorter, more efficient field assessment and a co-created earthworm identification guide, to help improve farmer confidence in earthworm monitoring. "These improvements were well received, with farmers all over the country spending an hour of their time digging five soil pits and assessing their earthworm populations in the Autumn." Dr. Stroud said: "Decisions made above the ground, whether by farmers or policy makers, influence the billions of earthworms that are engineering the soil ecosystem below the ground. "Earthworms influence carbon cycling, water infiltration, pesticide movement, greenhouse gas emissions, plant productivity, the breeding success of birds and even the susceptibility of plants to insect attack." "Crucially, working together with farmers, we now know typical earthworm numbers in agricultural soils and between us have developed a quick method for ongoing monitoring. Many farmers have reported they plan to survey again this Spring following benchmarking their fields last year. "Soil health is complicated, but the path to doing things differently has to begin somewhere."